According to the Census 1901 Mary Eleanor Cregg was born to parents William and Esther in County Sligo. Her father was a pensioner from the Royal Irish Constabulary. She had a brother William Merrick Cregg, and a sister Jemima. 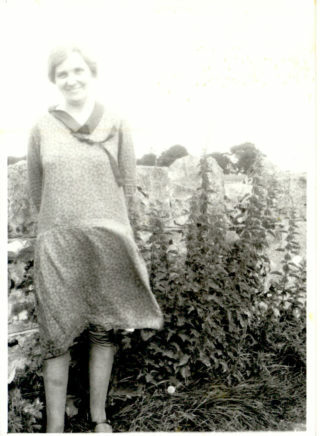 She was schooled in Ashtown National School, and is recorded as being in sixth class at the age of 15yrs in 1902. She is recorded as Café manageress in Census 1911. Here, a number of local people recall Woodlawn Station Café as an institution of its time. An old established landmark at Woodlawn Station was the café run by May Cregg. It was a pre-fab type of structure constructed of galvanised iron on a concrete foundation. May was a member of the Church of Ireland community and a lovely old lady. She provided a valuable service by selling tea and sweet cake to weary travellers from places like Mountbellew, Moylough and more distant parts. The place was always warm and welcoming. But May’s service did not stop there. 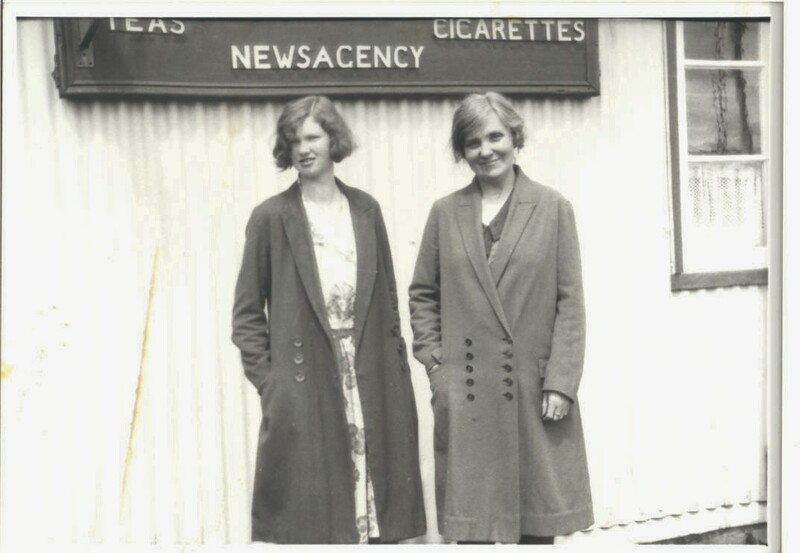 The café was also a news agency supplying the daily papers, which in the case of my family came in a bundle of four to Raftery’s shop in Monaveen, later to become the Monaveen Inn. May carried a considerable stock of magazines, books, comics – the Beano and the Dandy were all the rage. Magazines dealing with women’s problems were kept under the counter and were not for general distribution. One magazine which May Cregg stocked was The Irish Home published to Kill Avenue, Dun Laoghaire. For me I had the ecstatic experience of seeing my name in print for the very first time in the Irish Home. There was a children’s corner which had some competitions and I entered and won! The prize was a half crown which was as good as winning the Lotto today. The Café is long since gone. May had lived a solitary life in the middle one of the three beautiful houses that face the Station. Her father had been an RIC constable but where he came from or who his wife was I do not know. The police station was nearby on the opposite side of the road into Carrowmore. 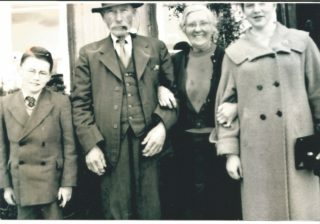 May grew old and frail, was eventually overtaken by dementia and died in St. Brigid’s Hospital, Ballinasloe. I believe I shed a tear for her as a lovely human being who I am sure the Lord has taken to himself. May Cregg ran a little café at Woodlawn Station. She would have bars of chocolate and toffee bars and she’d have them in those jars. May always had those English papers as well, the Daily Mail and all those. She used to give them to my grandfather to read. He always liked to read the paper and I think that is a thing I have inherited from him too. May Cregg was a Church of Ireland person, her father was an RIC man. I remember her, she used to be there – I think she used to give tea to people who would be going on the train as well. She would make the tea down the back there. There was a stove and a kettle. May lived down in the centre house of the three stone cottages (north of the station) where Andrew and Gráinne live now. This page was added on 04/03/2016. Clare West: Never had tea but Kathy Waller used to get my Beano and Dandy there. Nancy Maher (nee Cannon) remembers calling into May Craig’s on her way to Dublin on the train. The kettle was always boiling and she would insist on you having a cup of tea and wait with her for the train. May Cregg is on the right of the picture. Does anyone know the younger lady?